Following up on much feedback (and this post), here is an update for the 5G Blacklist for 2013. As explained in the 2012 article (and elsewhere), the 5G Blacklist helps reduce the number of malicious URL requests that hit your website. It’s one of many ways to improve the security of your site and protect against evil exploits, bad requests, and other nefarious garbage. If your site runs on Apache and you’re familiar with .htaccess, the 5G is an effective way to secure your site against malicious HTTP requests and other suspect activity. To use: include the entire 5G Blacklist in the root .htaccess file of your site. Remember to backup your original .htaccess file before making any changes. Test thoroughly while enjoying your favorite beverage. If you encounter any issues, please read the troubleshooting tips and/or leave a comment to report a bug. Note: in some cases it may be necessary to place the QUERY STRING rules before WP-permalink rules. 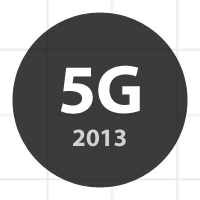 The changes made for 5G 2013 are aimed at maximizing compatibility. Unfortunately, a number of required changes are due to improper coding and ignoring HTTP specifications. As mentioned previously, using unsafe characters in URLs obsoletes security measures that are based on pattern-matching, which is integral to the process of blocking malicious activity. To illustrate, it is possible to protect against a wide range of malicious requests by blocking unsafe characters such as unencoded question marks “?” included within the query string. Firewalls, blacklists, security plugins and scripts are able to safely block such bad requests UNTIL some widely used service such as Google Adwords decides to start including multiple unencoded question marks in their query strings. Suddenly blocking potentially dangerous “?” requests is useless because nobody wants to block legitimate (Google) traffic. If there is an error, remove the code and make a backup of your original .htaccess file (if you haven’t already done so). Investigate the URL for whichever page is blocked or not working, making note of any non-alphanumeric characters or anything else that looks unusual. With a good idea of what to look for, examine the 5G directives to see if anything looks similar. If so, try removing (or commenting out) the offending line (or characters) and see if that resolves the issue. If you benefit from my work with the 5G and would like to show support, consider buying a copy of my book, .htaccess made easy. You’ll get a complete guide to .htaccess, exclusive forum access, and a ton of awesome techniques for configuring, optimizing, and securing your site. Your generous support allows me to continue developing 5G/6G and other awesome resources for the community. Thank you! To learn more about the theory and development of the 5G Firewall, check out my articles on building the 3G, 4G and 5G Blacklist. The 6G beta article also contains some good information. And if all that’s not enough, a quick search for “blacklist” in the sidebar should also yield many results. Does it matter where the 5G is placed? What I mean is that I have a few other lines of code in my .htaccess – is it ok just to place it below the existing stuff? Also, what do you think about SEO, does/ could this have any effect on white hat bots scanning your site? It depends on the setup; in most cases the 5G may be placed anywhere in the file, but on some sites it’s necessary to place it before the WordPress permalink rules. A few quick tests should tell you if it’s working. The 5G allows legitimate behavior and does not explicitly block any “white-hat” bots; rather, 5G blocks malicious requests, regardless of what/who is making them. So if Google for some reason requests a URL that contains blocked characters, the request will be blocked by 5G. Sorry Jeff, recently I put a extension in my browser (NotScripts 0.9.6 for chrome) and it is my problem. Sorry again for the inconvenience, and thank you a lot! I’m a Rewrite n00b, can’t tell which condition is triggering it, but successively commented out bits of the 5G Query Strings IfModule until it worked (by then, the whole section was commented out). It may be readily apparent to you what’s triggering the 403 from that query. Correction: I was wrongly looking at the Query Strings rather than the Request Strings. It appears to be the comma that’s the problem. Just FYI, I was only seeing this on mobile (AT&T, iPhone, Safari). It worked again after I commented out the Query section, but I think that was only coincidence. mod_pagespeed does not always include a comma in the request. Not sure if mod-pagespeed delivers differently to different networks or UAs, but I do see some very quirky other behaviors on the AT&T network, seemingly to do with something they are doing with caching and proxying, particularly for image files. Regardless, thanks again for a brilliant piece of code for protecting our WP sites! 5G breaks the Contact Form 7 WP plugin (a massively popular contact form plugin). Commenting out request AND query string sets fixes it, but wondering if you’d have an offhand idea of which one specifically might be the culprit? Sorry, I forgot I can sort of do this myself… I now know that it’s not a REQUEST string… But I’m stuck on the QUERY strings. I have been using the 5G and love it! I periodically look through my log and perusing for that “Malicious” activity to add to my Deny From ip blocking list. I keep a 404 log and look for patterns. As well I use Notepad++ and search my server log files looking for all “wp-login.php” within the document to list only those specific log entries. My site is not a heavy login type site. Only I and a few other should be logging in. With this separate list I look for non-valid ip addresses looking for any hacking attempts vs someone randomly bringing up the login screen once or few times. What I am mainly looking for is a pattern of attempts either in volume or frequency of attempts throughout the month. I have learned is that some login hacking scripts first (prior to login attempts) do a /?author=1 through 10 or higher and until they get a positive. A positive being WordPress indicating an author exists or doesn’t exist and displays their posts or indicates the author has no posts. When successful, WordPress displays the login name right on the address bar with the /author/(user name). This method gives them half the equation to the login. I currently use a login blocker after 3 attempts it locks them out for a period of time. Do you have any suggestions regarding better securing against this? Do you think that it is a security hole in WordPress that it displays the username on the address bar? Shouldn’t WordPress instead display the nickname or something else like the display name or nickname on the address bar after doing the author number look up? That is suggesting the following solution to the problem I indicated about user enumeration. What do you think? Where would I add this to the htaccess with the 5G? p.s. – You can combine my posts and like your policy indicates edit it and cut it down from being so wordy.